The Healthy Brains for Healthy Lives (HBHL) initiative is a high profile, high priority multidisciplinary and cross-sectoral program located at McGill University made possible with support from the Canada First Research Excellence Fund (CFREF). HBHL’s Postdoctoral Fellowships Program aims to recruit top postdoctoral fellows from across disciplines and around the world to participate in interdisciplinary and cross-sectoral research training opportunities related to brain and mental health research, knowledge translation/mobilization and innovation. The HBHL Strategic Research Plan outlines the vision, deliverables, and overall goals of the initiative, and the research priorities of its four research themes. Applicants must normally have obtained their PhD or equivalent (including a recognized health professional degree plus a medical specialty) at a university or institution other than McGill University. 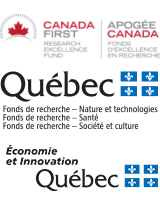 In certain circumstances an HBHL postdoctoral fellowship may be awarded to an applicant who is staying at McGill within the same research environment where they completed their PhD or equivalent. In such cases, a solid justification must be provided. Examples of valid justifications are scientific reasons (e.g., availability of specialized equipment/infrastructure or candidate’s unique expertise), medical reasons (e.g., proximity to required health care facilities), or family reasons (e.g., family obligations, a spouse's career) which make it necessary to remain at McGill for both the PhD or equivalent and postdoctoral studies. The competition is open to both Canadian and foreign applicants. Candidates may consult the Brain@McGill Researcher Database to identify potential supervisors and contact them directly. However, potential supervisors are not limited to those in this database. The application package is available on the HBHL website. Applicants must register on the HBHL fellowships submission webpage (http://hbhl.research.mcgill.ca) to receive a link by email to upload the completed form and attachments (in PDF format) before January 10, 2019, 5:00 pm EST. The supervisor and referees will also receive a link by email to upload their letters of recommendation. Applications submitted after this deadline will not be accepted. All eligible applications will be assessed by an evaluation committee along the following criteria. Applicants with the highest rankings (from 3 independent evaluations) will be considered for an award.